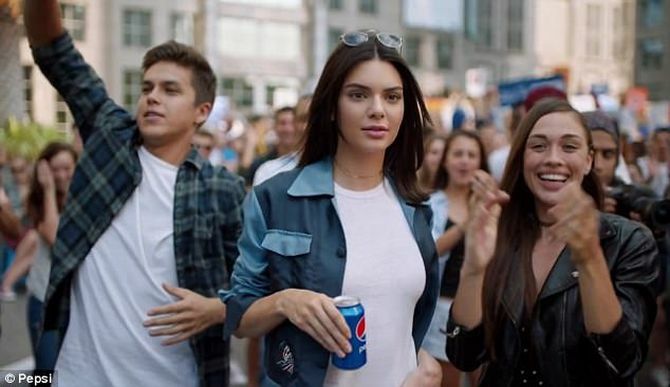 Pepsi has pulled an advertisement after it was widely mocked and criticised for appearing to trivialise protests for social justice causes. 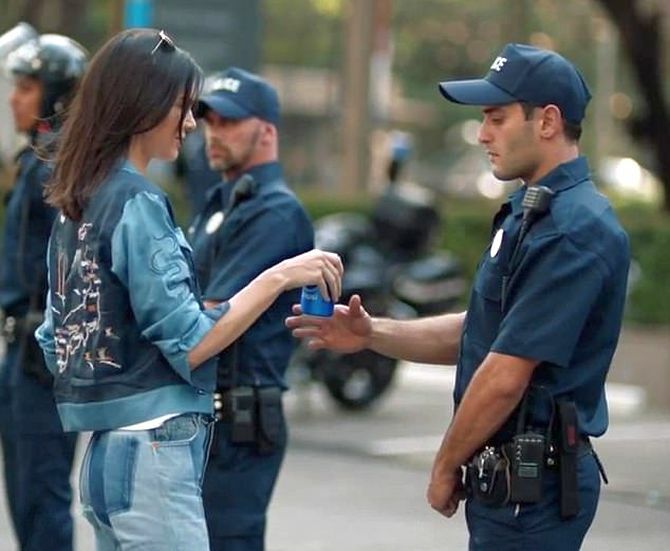 The ad showed reality TV star Kendall Jenner stepping away from a photoshoot to join young, smiling protesters at a heavily policed demonstration. She hands one policeman a can of Pepsi to defuse the tension, prompting a smile from the officer and hugs and cheers from the protesters. Pepsi removed the ad from YouTube less than 24 hours after it was first posted, following much online ridicule. The company said it would be “halting any further rollout” of the ad. Some critics said the image of Jenner handing the officer a can evoked a photo of Black Lives Matter protester Ieshia Evans approaching an officer at a demonstration in Baton Rouge last year. Bernice King, a daughter of Martin Luther King Jr, was among those who commented on the tone-deaf nature of the ad. It was also slammed by other celebrities and others on social media. “Assuming everything that can be said about faux-test Pepsi ad has been said so I’m just gonna go with this: it didn’t make me want Pepsi,” wrote Lena Dunham, the brains behind the hit serial Girls. 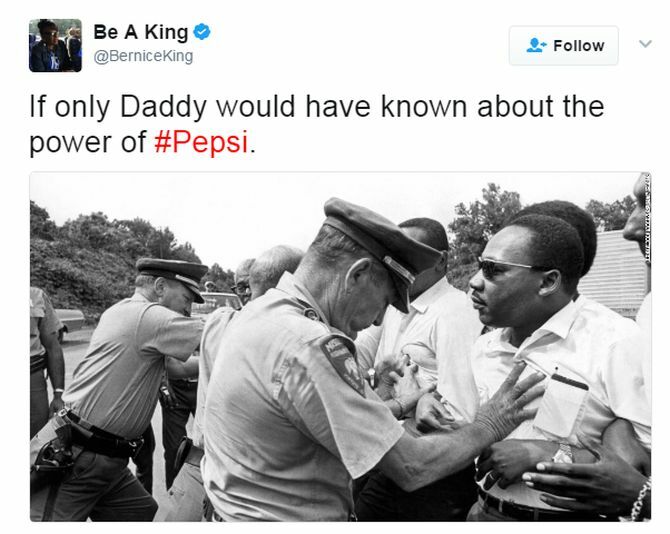 The ad sparked outrage online from hundreds accusing Pepsi of trying to cash in on the Black Lives Matter protests. Twitter was flooded with deeply sarcastic posts mocking the ‘tone deaf’ ad. Kendall: What's the big deal with going braless?